You want it or not – it will get you one way or another. As they say, you can run but you can’t hide. You can live in denial and you can avoid reading about it, hearing about it or even thinking about it but one day, trust me, it will catch up. It is better if you luck out and somehow come face to face with it just in your thoughts while reading or watching something. What am I talking about? Genetically modified food or Monsanto. You might think that it doesn’t impact you or that it is just a silly talk but once you start reading about it and start learning what it means – genetically modified food, your hair will stand up. But the best part is yet to come. So many products out there that you consider healthy and good for you actually consume genetically modified seeds, vegetables, and fruits. 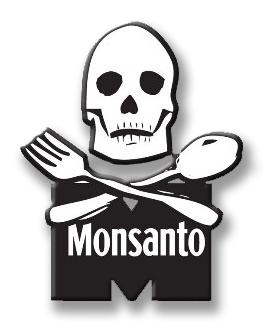 “..GMOs, or “genetically modified organisms,” are plants or animals that have been genetically engineered with DNA from bacteria, viruses or other plants and animals…” says Monsanto Facts website. Yes, not everything that is written online is true and that is why you should go and read about it yourself. You should educate yourself on the food you consume, drinks you drink, and medicine you are prescribed. If you trust in the System, it will fail you and it will betray you most of the time. The system is run by the people who like power. Some of them are honest and fight for what’s right but most of them just want to feel like they are the center of the world. I was speechless to find out that some companies that I choose in the store thinking that they are healthy and are made from good ingredients are actually using genetically modified ones. Healthy Choice, Natures Valley, V8, and Lipton is also on the list.